The Boating Clean and Green Program staff received the 2010 national Environmental Leadership Award by the BoatUS Foundation and the 2011 the Pollution Prevention Award provided by the Department of Toxic Substances Control and CalRecycle. 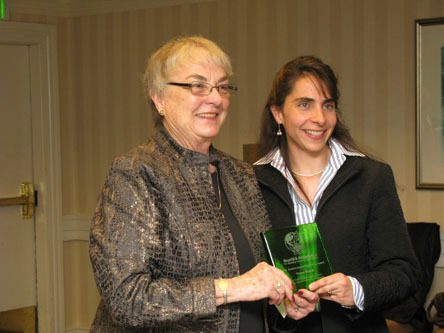 received the 2008 BoatUS Environmental Leadership Commendation. The Keep the Delta Clean. You Play in it. You Drink it too! Program, led by Contra Costa County Watershed Program and developed and implemented in partnership with the California Coastal Commission and the Division of Boating and Waterways received nine 2005 Outstanding Comprehensive Conservation and Management Plan (CCMP) Implementation Project awards from the San Francisco Estuary Project. The nine awards were given to each partnering agency, the five pilot marinas (Bethel Harbor, Discovery Bay Yacht Harbor, Lauritzen Yacht Harbor, Lazy M Marina and Sugar Barge Marina) and the Dockwalkers program . Visit the Keep the Delta Clean Program section for more information about this program. The California Coastal Commission’s Boating Clean and Green Campaign was awarded with the 2004 Excellence Program Award given by the Cal/EPA’s Household Hazardous Waste/Used Oil Program conducted by the California Integrated Waste Management Board. Cal/EPA’s Household Hazardous Waste/Used Oil Program awards are held annually to recognize local programs engaged in pollution prevention, hazard reduction, and waste stream toxicity reduction and recycling. 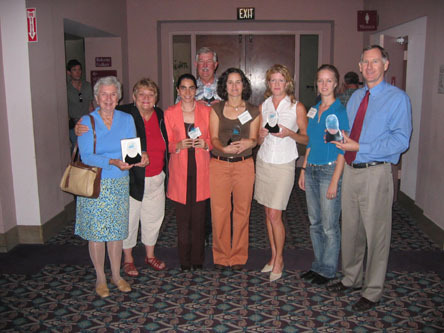 The categories include: Togetherness Award, Outstanding Rural Program Award, Program Innovation Award, Program Innovation Award, Program Excellence Award, Outstanding Personal Service Award, Outstanding Personal Service Award, Outstanding Personal Service Award, Best New E-Waste Program Award Most Unique E-Waste Program Award, and the Honorable Mention Award. The Excellence Program Award recognizes a model, outstanding program that addresses household, used oil and CESQG (Conditionally Exempt Small Quantity Generators) hazardous waste management at the local level and promotes pollution prevention and the reduction of hazardous components in municipal waste streams. The Boating Clean and Green Campaign was recognized with the Excellence Program Award. The campaign has been a comprehensive program in motivating positive behavior changes for clean boating and protection of the environment. 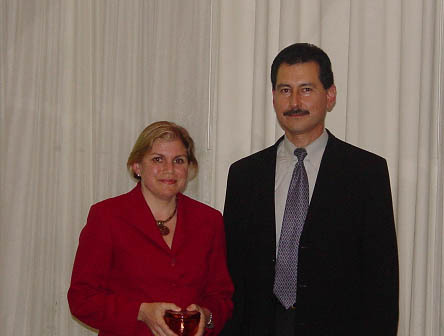 Miriam Gordon, Program Manager from 1997 to 2004, accepted the award from the California Integrated Waste Management Board Steve Hernandez, Supervising Integrated Waste Management Specialist, at the Statewide Annual Used Oil Recycling and Household Hazardous Waste Training and Conference in Sacramento on March 25, 2004.